The Austin Map Project: View picture "Lamar Blvd. Bridge at Night"
Location: Where Central Austin meets South Austin. 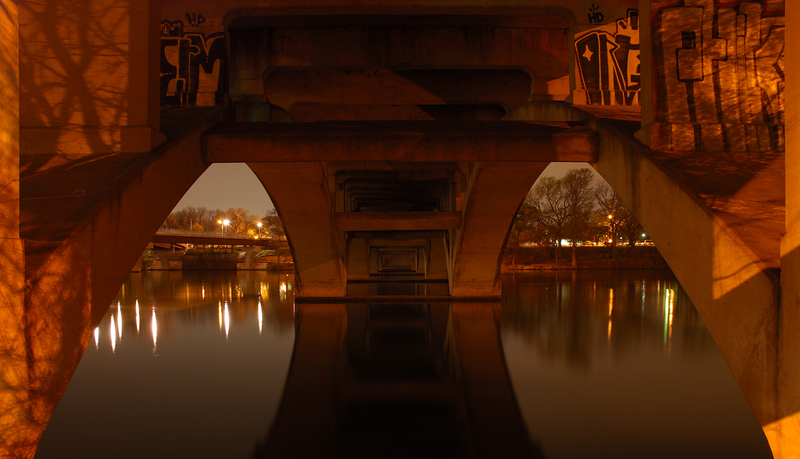 Underneath the Lamar Blvd Bridge, facing south south-west. The orange sodium lamps cause everything to be illuminated in an Orange glow.